The beauty of the Raspberry Pi is you don’t need to spend a fortune to get the barebones computer up and running. 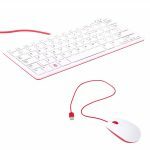 Once you’ve bought the Pi itself, you can use your own keyboard, mouse, monitor, power supply and so on, and spend as little (or as much) as you want to get any items you require but don’t currently have. It took quite some time for Windows 10 to overtake Windows 7, but it finally did it in December 2018, at least according to NetMarketShare’s figures. In February however, Windows 10 actually lost share, while Windows 7 gained some, narrowing the gap between the two operating systems once more. In March though, roles were reversed, as Windows 10 made some big gains, and Windows 7 lost a sizable chunk of its share. The October 2018 Update, or Windows 10 1809, has been nothing short of a disaster for Microsoft. It was so buggy it had to be pulled shortly after its release last October, and it only began to be pushed out as an automatic update a week ago. 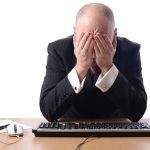 AdDuplex, which monitors the share of each version of Windows 10, has been reporting for months on the incredibly poor adoption of Windows 10 1809, and March was another month in which the update gained hardly any additional share. With the next big feature version scheduled to arrive next month, it looks as if most people will be skipping the older update. If you opted to join the Skip Ahead ring, bypassing the 19H1 builds, you are currently being served up flights from the 20H1 branch -- the feature update that Microsoft is set to release a year from now. Today the software giant rolls out Build 18865 which fixes numerous problems, including multiple issues affecting Narrator. Back in December 2018, Microsoft announced that it would be moving its Edge browser over to Chromium, with the intent being to align its web platform with both the main web standards and other Chromium-based browsers. Microsoft also said at the time that Edge would be made available for "all supported versions of Windows", not just Windows 10. Last week, an early version of the browser leaked onto the web, and while most people who tried it would no doubt have done so through Windows 10, it does indeed run on Windows 7 (and Windows 8.1). YouTube has never had the best layout. Despite going through numerous design changes over the years it’s always looked a bit of a muddle, and unearthing great content to watch has never been as easy as it should be. 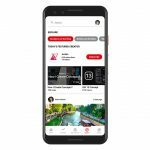 What Google’s video site has needed for quite some time now is a fresh take to bring it more in line with its newer rivals, like Instagram and TikTok. Something like this. 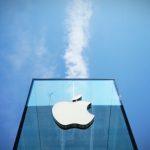 Earlier today, at a special event hosted at its the Cupertino campus, Apple took the wraps of its paid news subscription service, but it was really the tech giant’s rumored TV service that everyone was waiting to hear about. And that wait is finally over. 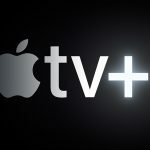 Apple’s new TV and movie steaming service goes by the name Apple TV+ and it will be home to a wide selection of original Apple content. At a special event at its Cupertino campus, Apple today lifted the wraps of its revamped Apple News app, which comes with a new premium subscription service called Apple News+. This offers readers access to over 300 magazines and newspapers for a flat rate of $9.99 a month. 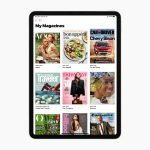 Available in the US and Canada to begin with, publications offered by Apple News+ include Vogue, National Geographic, People, ELLE, The Wall Street Journal and Los Angeles Times. Apple had a pretty busy week last week, unveiling new iPads, new iMacs, and updated AirPods. Today things get even busier for the tech giant as it’s holding a special keynote at its Cupertino campus where it is expected to unveil several new services, including one that aims to compete with Netflix and Amazon Prime Video. Although it’s a bit of a meaningless term these days, it looks as if 19H1 Build 18362, which was released to the Fast ring on Wednesday and is now making its way on to the Slow ring today, could well be the Release Candidate for the next big feature update of Windows 10. The new release, due out next month, has the unenviable task of following the disastrous October 2018 Update, and Microsoft will hoping things run a lot smoother this time around, especially as the previous update only began its full rollout yesterday. 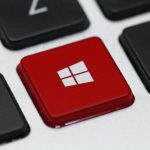 Although the Windows 10 October 2018 Update did arrive in October 2018, it came with lots of problems, and Microsoft was forced to pull it, reissuing a slightly less buggy version in November. Despite this, the actual phased rollout didn’t start in January, and even so uptake was very slow. Yesterday, however, Microsoft finally flipped the switch to begin automatic updates, but there are still some users who won’t be offered it. In February, Microsoft announced Microsoft Threat Experts, a new service within Microsoft 365 Security designed to better protect businesses. 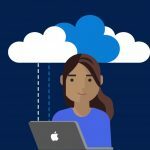 Today, the software giant extends its endpoint protection platform to Mac, and in keeping with that move renames the Windows Defender ATP platform to Microsoft Defender ATP. Yesterday, Microsoft rolled out Windows 10 19H1 Build 18361 to the Fast ring, and today it follows that up with Build 18362 which fixes a couple of problems. In addition, the software giant has released Build 18860 for the 20H1 branch of Windows 10, which is planned for release early next year. 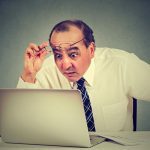 When it was revealed a week ago that Microsoft would once again start nagging Windows 7 users into upgrading to Windows 10, there was a collective sigh of annoyance from devotees of the older OS who have lived through this sort of thing before. This time though, Microsoft appears to have learned its lesson. Not only does the software giant have a valid reason for the popup notifications -- Windows 7 is nearing the end of its life -- but these alerts are optional, and gentler -- there’s no being tricked into upgrading to Windows 10 this time around (at least not yet). Wayne Williams is BetaNews' managing editor. He has been writing about computers, technology, and the web for over 20 years now. He’s written for most of the UK’s PC magazines, and launched, edited and published a fair few of them in his time also. If you like what you read, you can Buy Me a Coffee!